We’re the new kid on the block in Beverly Hills you've probably heard about. 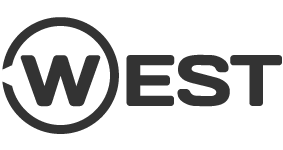 WEST offers new and unique choices in boots, shoes, leather goods and accessories. Most of our boots are exclusive to us; made by smaller artisan companies who are still passionate about the quality of what they produce. Whether it’s a pair of sleek riding boots, Western inspired cowboy boots, city boots or gorgeous handmade shoes - we've got ‘em. If you have an appreciation for the exquisitly made and you tend to seek out rare finds in defining your sense of style - we are probably a good match. Our sterling silver hand made belt buckles, belts, jewelry, knives and leather goods all reflect our devotion to showcasing some of the finest niche market goods available. Thanks for visiting our virtual store - and we look forward to serving you you, here online, or in our sleek new store where you can experience our goods and service first hand. © Copyright 2019 WEST. All Rights Reserved.